We have designed a VIP tour to take in the best sight and sounds of Atlanta, enjoy tour of city hot spots, fine dining, and shopping at the upscale The Shops Buckhead Atlanta. This is the prefect getaway for fun and excitement for the family, girls weekend or romantic get away. Tour comes with a private driver, concierge/guide. We plan and organize your special VIP tour for you prior to your arrival, allowing you to enjoy your vacation. We also offer a nighttime version of this tour which includes cocktails. Your tour comes with private driver and concierge/guide. Tour is 5 hours. Tour begins with pick-up at your hotel or airport. 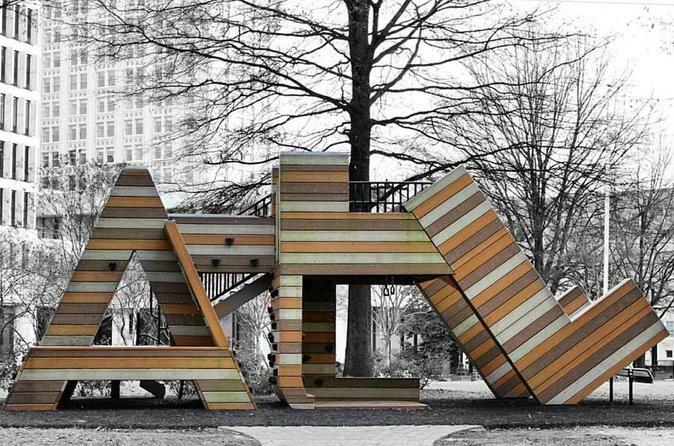 Atlanta is the perfect mix of southern charm, urban hip and luxury. We tour Atlanta’s Downtown, Midtown and Buckhead area which gives you the perfect overview of the City. Next up we stop at Buckhead which is the Beverly Hills of Atlanta. The Shops Buckhead Atlanta, Buckhead is the premier choice for fashionable shopping. You dine at Southern Art, upscale Buckhead dining, located at the InterContinental Hotel. The menu at Southern Art is a blend of chef Art Smith’s Southern cooking heritage and a strong vow to serving traditional classics prepared with his light, contemporary approach. Implementing farm-to-table and local cooking. For ten years Chef Smith became the personal, day-to-day chef to Oprah Winfrey.